CrabtreeFalls, the highest vertical-drop cascading waterfall east of the Mississippi River, is a popular attraction located in Nelson County, particularly in the fall when the leaves change into deep yellows, reds and oranges. 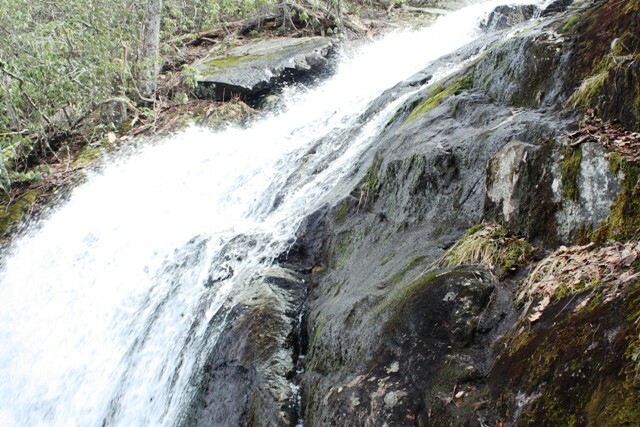 Featuring five major cascades and a number of smaller ones that fall a total distance of 1,200 feet, Crabtree falls is accessible to all ages and abilities. The first overlook is just a few hundred feet from the parking lot along a gentle, paved trail, but more adventuresome hikers can continue along the 3-mile trail to four other overlooks offering spectacular views of the CrabtreeCreekFalls and lovely vistas of the TyeRiverValley. From the upper falls, the trail follows the creek another 1.2 miles to the Crabtree Meadows. We hiked this just last week on a gorgeous fall day. Don’t miss your chance to do the same! P.S. Visit our facebook page for our whole gallery of shots from the hike! This entry was posted in Adventure, Fall, Nature, Trails, water by client-admin. Bookmark the permalink.